Please note that each order which placed on this site will be shipped in a separate consignment. We cannot accept request for shipping and packaging together items purchased in separate orders. Shipping fee is calculated based on the weight and distance from our facility. Shipping fee vary depending on your country, region and weight of the purchases. Please check on the order page. Please allow 3-7 business days for order processing and verification. At the latest, delivery will be made with 14 days from the date the order was confirmed. Delivery also can be delayed due to adverse traffic condition or weather condition. And depending on the shipping region, delivery may take longer than usual. If you cannot receive your order by absent from home, or It cannot deliver the order because of incorrect delivery information, please contact Local Post Office and arrange redelivery immediately. If you are unable to receive your order, the item will be returned automatically to Japan and cancelled. Please note that the return shipping cost will be charged to you. Once orders are placed, we will send you an order confirmation mail. You can check your order from the Order History on “MY PAGE”. Also when the orders are shipped out from our facility, we will send you a tracking number with tracking link, please check your shipping status on the website. All customers will be responsible for paying any customs duties, taxes and additional fees. The rates of customs duties are decided by the customs authorities of the country or region in question. Please ask the customs authorities in your country and region for details. All sales are final. We do not accept requests for cancellation of orders or the return of items unless the item you purchased is defective upon our confirmation. The request for return items will be accepted only if the items are unused and only if the customer contact within 7 days from time the freight received. Please refer to our “REFUND POLICY” for more details. Please measure your size with measurement in our “Size Guide Page” . and compare to size charts on each item pages to help your shopping. 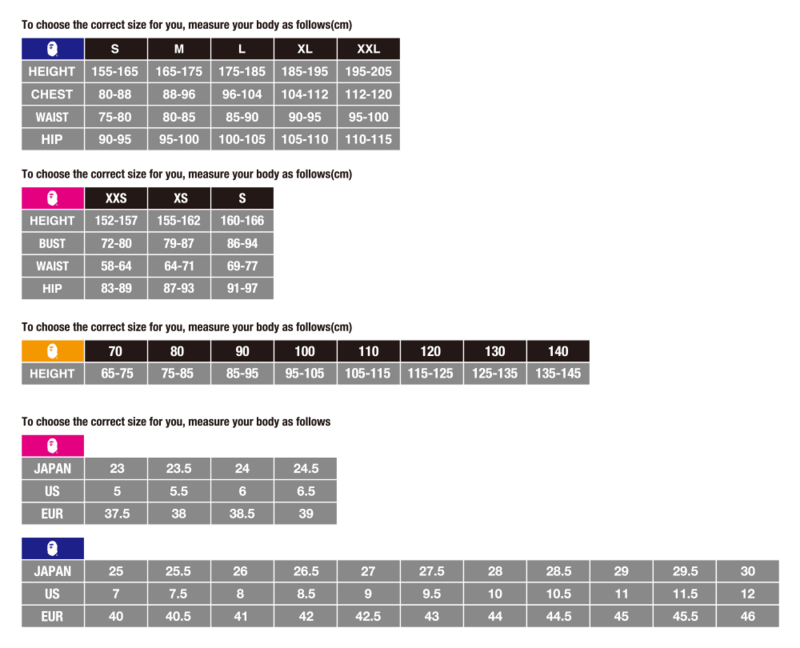 For measurement details and finding your correct size, please refer to our “Size Guide Page” .